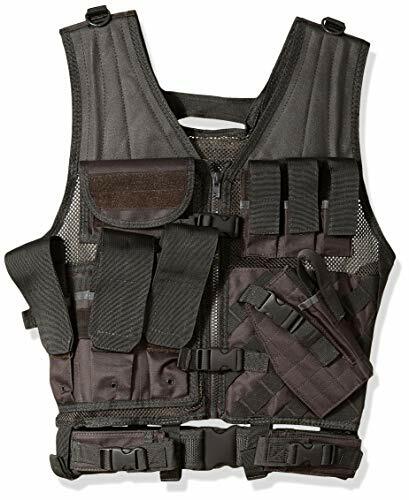 This fully adjustable tactical vest helps keep your shooting gear organized for easy access, so that your shooting gear is right where you need it when you out in the field. 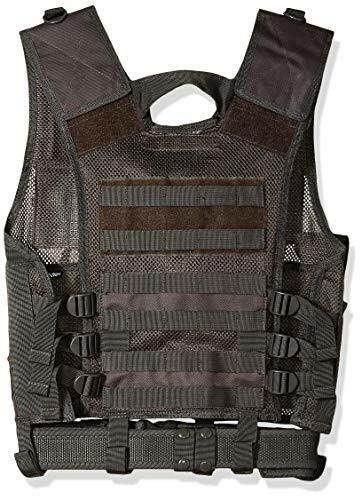 It includes heavy duty front zipper and two adjustable quick fastener buckles that make it easy for you to get into the vest for secure fit. 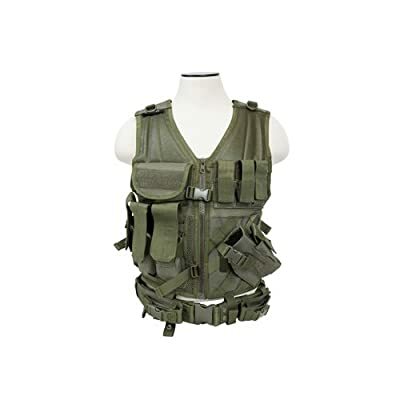 It includes three adjustable side straps on each side of the tactical vest to ensure a secure custom fit to your body. The tactical vest length is adjustable via triple shoulders hook and loop panels to adjust the how low the vest hangs on the torso. The back panel also includes a heavy duty rescue drag handle and loop patch for name tapes and moral patches. The inside back panel has a compartment for hydration bladder, hydration system compatible (Bladder Not Included). It includes heavy duty pistol belt attaches securely to vest with belt keepers to keep everything in place. The pistol belt includes two pistol pouches with quick connect buckle flaps, can also be used for multi-tool, flashlight, folding knives, etc. It is constructed of tough PVC on top of mesh webbing for maximum durability; mesh material will help keep you cool. This is the regular size tactical vest. Fits: Medium - XL t-shirt sizes.